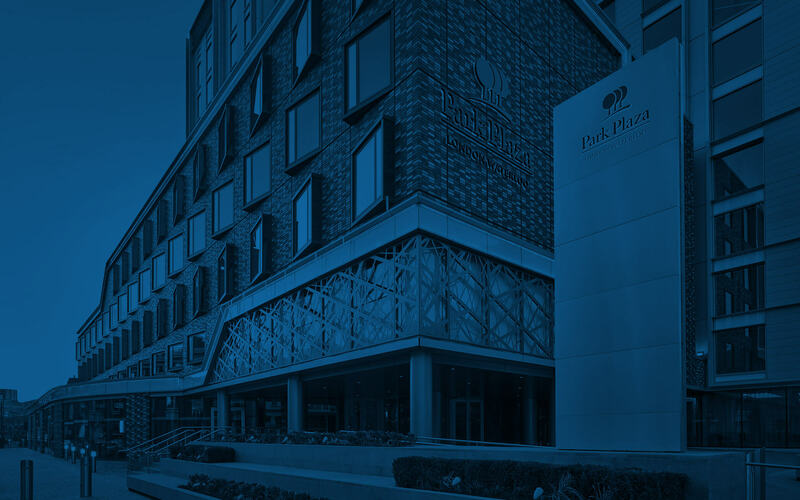 At Park Plaza London Waterloo, guests can choose the perfect hotel room to fit their needs. 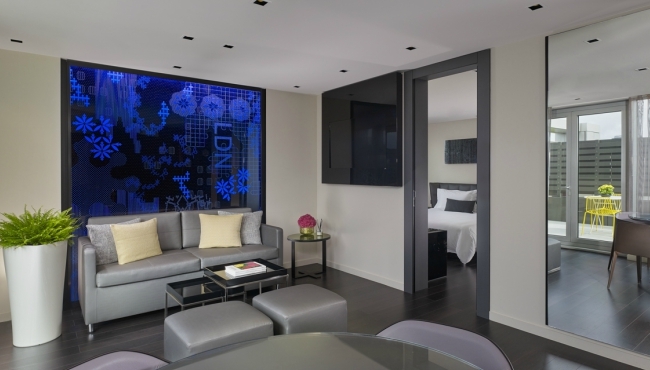 Our One-bedroom Suites are ideal for travelling families looking for abundant space and interconnected rooms. 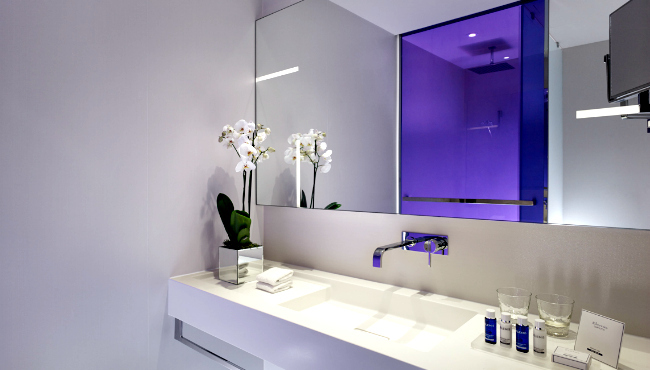 These suites also feature a separate bathtub; for a walk-in shower, choose a Superior Room. 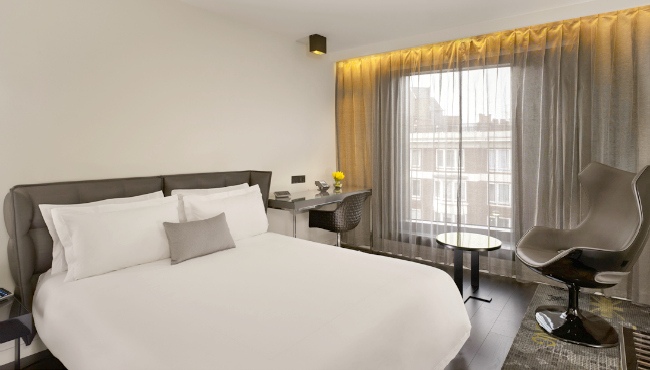 Some rooms even include a private terrace offering striking views of Central London and the South Bank. Upgrade to an Executive Room for a room on a higher floor with views over the city, and receive access to the exclusive Executive Lounge between 6pm and 8pm daily. 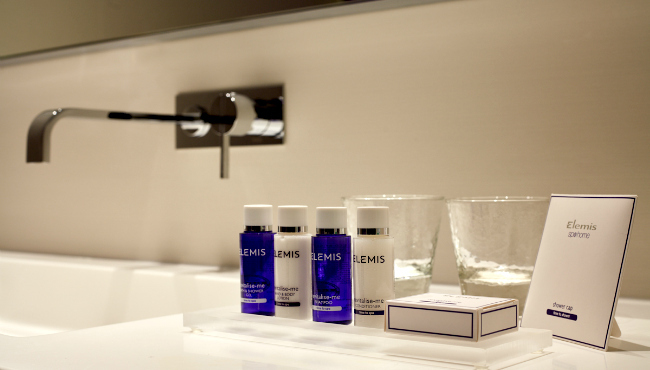 Our stylish, ultramodern Superior Rooms feature a city or atrium view, a minibar and bathroom amenities from ELEMIS. 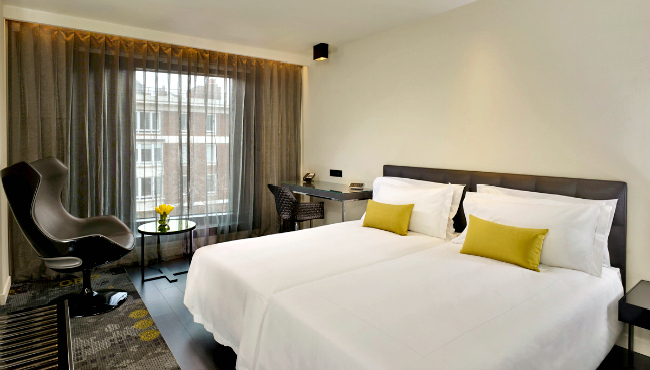 Designed to maximise your comfort, these rooms are ideal for a short excursion to the city or a romantic getaway. They offer double, twin or king-size beds. 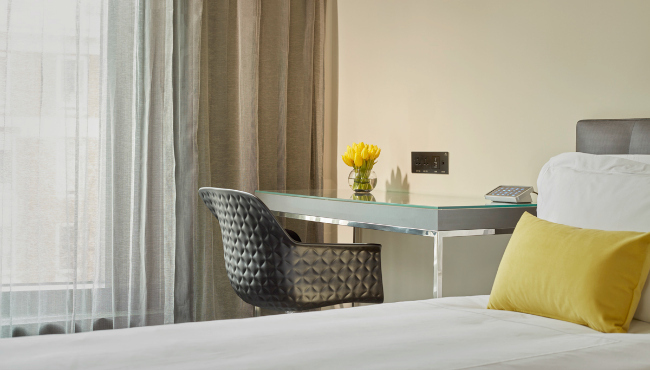 Our Studio Rooms offer ample space to work and relax. 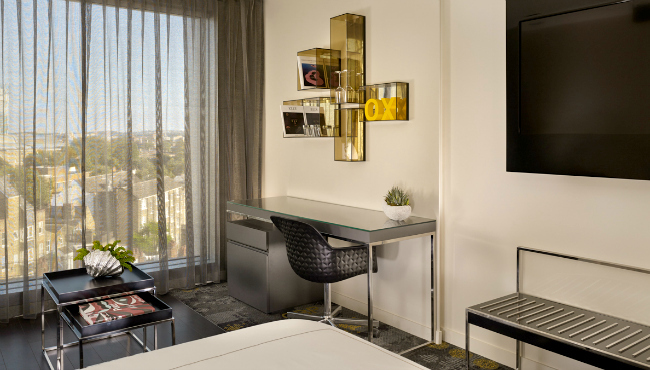 Ideal for individuals, families or couples, Studio Rooms provide all standard amenities, a sleeper sofa and either a king bed or twin-size beds. 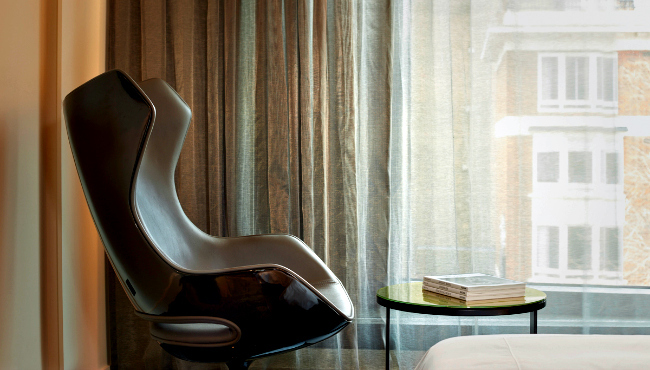 Upgrade to an Executive room and enjoy views of the London skyline from the hotel’s higher floors. 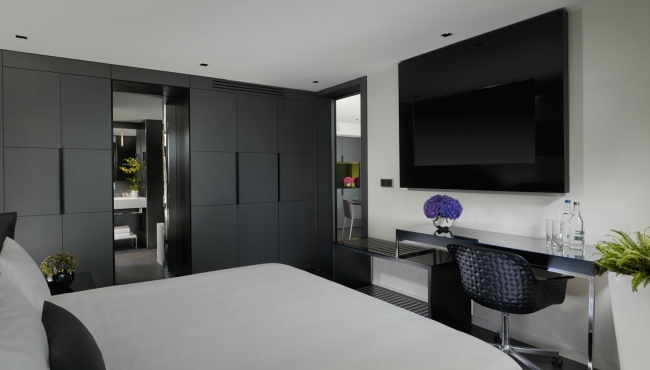 Executive rooms come with Executive Lounge access from 6pm to 8pm including complimentary drinks and canapés. They offer double, twin or king-size beds. 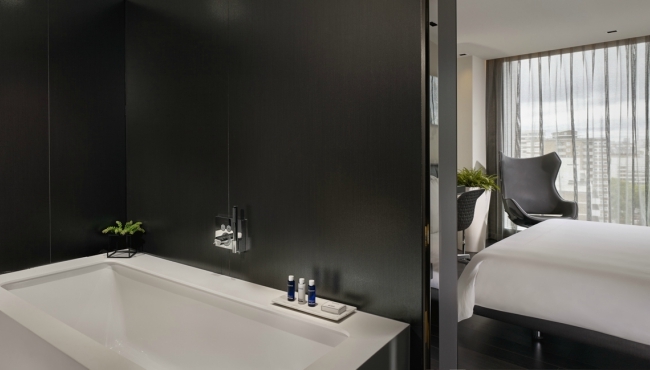 Revel in a night of rich comfort in one of our spacious One-bedroom Suites, offering up to 50 metres of space. 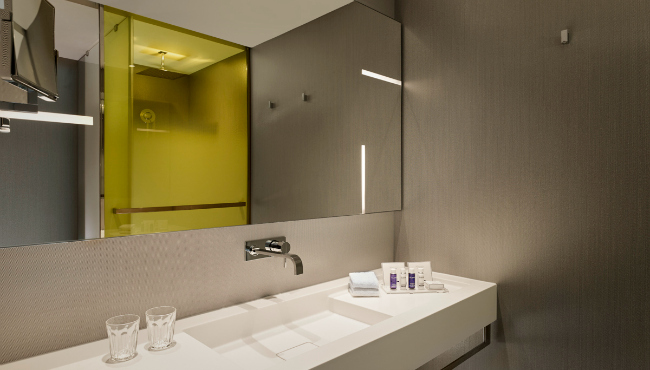 State-of-the-art design merges with an artistic attention to detail that makes these rooms a stylish home away from home. 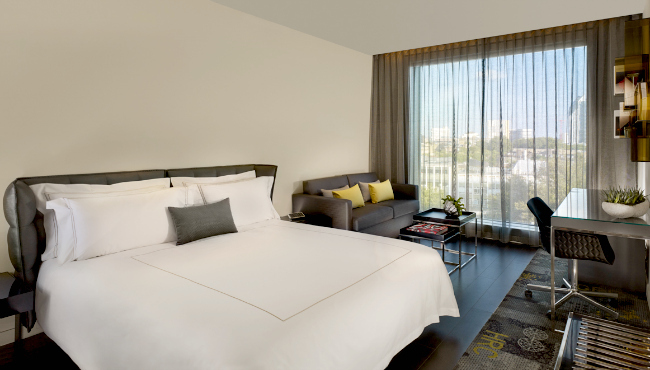 City views and extra amenities, such as a Nespresso® machine, ensure a memorable stay.